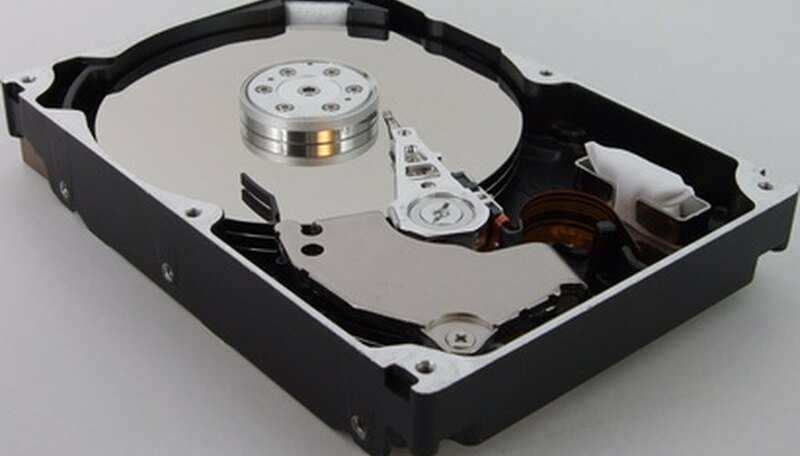 The PlayStation 3 (PS3) uses a hard disk drive (HDD) that can develop problems during use similarly to that of a hard drive that is inside of a computer. A corrupted PS3 HDD will not play correctly and must be reformatted in order to function. The PS3’s built-in formatting program must be used to fix a corrupted HDD. You will need a common household tool as the HDD must be removed from the game console in order to access the formatting function. Formatting the PS3’s HDD to fix it does not void the Sony warranty. Pull the hard drive compartment lid off the PS3’s right side with your fingers. Remove the blue screw at the upper edge inside of the hard drive compartment with the Phillips jeweler’s screwdriver. Pull the locking latch on the cage that is inside of the hard drive compartment to the right. Plug the game controller’s cable into one of the game controller ports on the front of the PS3. Press the power button while holding down the “X” button on the game controller. Wait for the “Utilities” screen to appear. Pull the cage which encases the HDD completely out of the hard drive compartment when the “Utilities” screen appears and a "0" can be seen under "Format." Wait for a “Restore incomplete” screen to appear. Continue waiting until a message appears asking if you want to format the HDD. Insert the cage back into the hard drive compartment. Pull the locking latch on the cage to the left. Select the “Yes” button on the screen using the game controller. Press the “X” button on the game controller. Wait a few minutes for the PS3 to format the HDD and reboot. Turn off the PS3 after the Home menu appears. Reattach the blue screw to the inside of the hard drive compartment. Place the hard drive compartment lid back onto the right side of the PS3. Formatting the HDD will cause all of the saved data, music, pictures and video to be deleted.